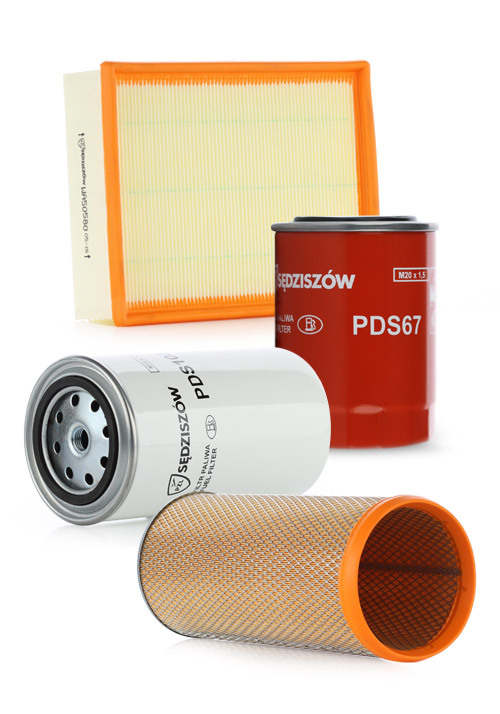 Filters Factory of Polish Aviation Factories – Sedziszow Joint – Stock Company aims to strengthen the Company’s position among the manufacturers of filtration products. Our goal is to meet the ever increasing needs and expectations of our Clients, active in the field of filtration on domestic and international markets. Our core business is manufacturing and distribution of filters and cartridges cleaning the air, fuel, oil and working liquids used in the automotive sector and other industries, products designated for military or police vehicles along with designing. Lead eco-friendly management of raw materials, energy and waste. 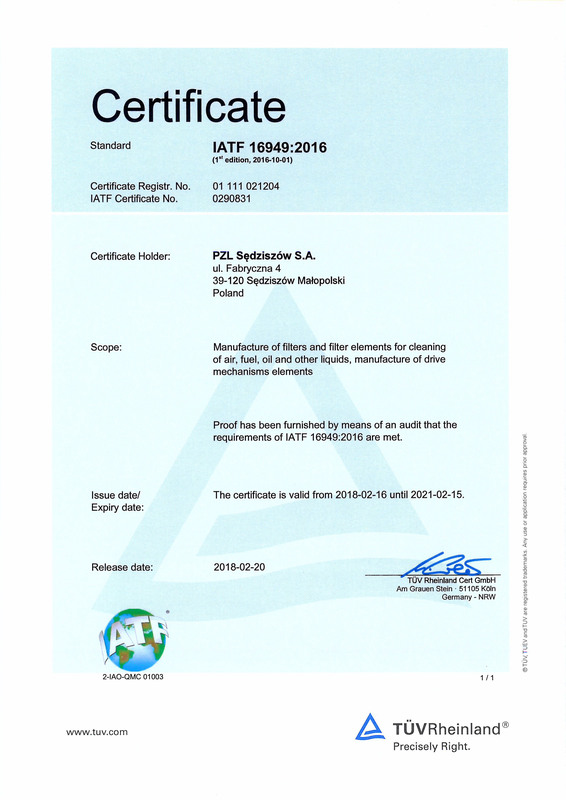 Implementation of the Quality and Environmental Policy of Filters Factory of Polish Aviation Factories – Sedziszow Joint – Stock Company is based on the full and conscious commitment of all employees. 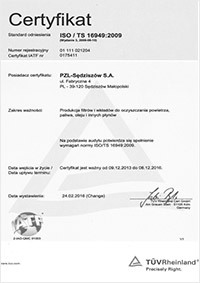 Check the validity of our certificates on IATF Global Oversight Offices.